Hello There:) This is China Glaze Marry a Millionaire. 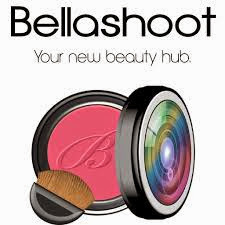 I am using this for my "V" in the Alphabet Challenge I am currently doing. I am thinking I cleaned out my collection a little too soon - I don't have a "v" polish so I'm stretching it on this one - "Violet" starts with a "v" and this has violet shimmer:) I also used a violet base - Ulta "Tutu Cute". I was obsessed with finding Marry a Millionaire after it was hard to find. I finally bought it on Ebay over 6 months ago and am now wearing it for the first time. Do you ever do that? I am thinking I have just been scared of the removal of it. 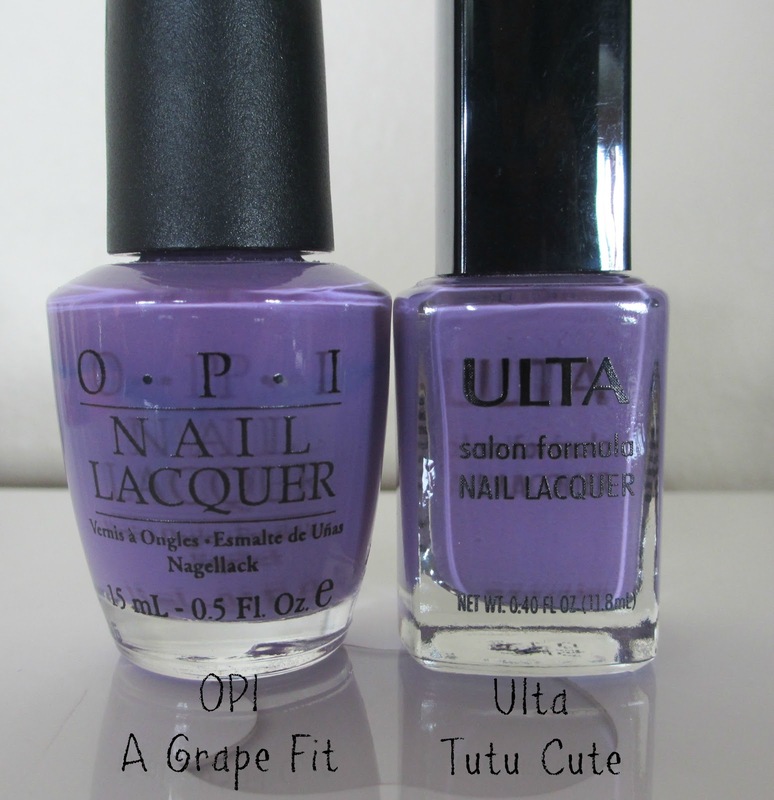 After using Ulta Tutu Cute as the base, I was reminded of OPI A Grape Fit. I pulled it out and sure enough, it's an exact dupe. I painted them on a nail wheel and the Ulta is a bit more opaque on the first coat - but after two coats, they are identical. Tutu Cute is still available in the new bottle type at Ulta. ...and later that night - I removed Marry a Millionaire using the tin foil method and it worked like a charm. I kept it on about 5 minutes and every single nail came off completely with one swipe. I'll be wearing this more now that I know I can take it off with ease. This is so insanely amazing!!!! 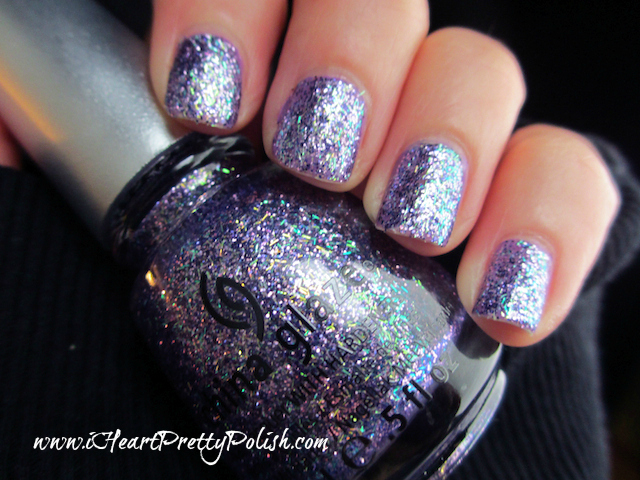 I have NEVER wanted this polish but oh my word this is so wonderfully gorgeous! You know...cause I needed a new lemming. LOL! I've never tried the tin foil method but I totally should. OMG OMG OMG!! I love this manicure! That glitter is so beautiful!!!!! I had the chance to buy this when it was released and I passed it up...ugh! Why??! It is gorgeous! And yeah, I totally do that. Obsess over needing a specific polish and once I have it just let it sit! Beautiful mani! I know, I always do that. It's like you don't want it until you can't have it. how gorgeous! i need to get my hands on that glitter! I love the glitter in this one!! bling bling!! Yep, why in the heck does that happen??? LOL. This is soooo gorgeous. I don't know why I never got this one. What a pretty glitter polish! Yeah I'd be nervous about removing... glitter polish is such a pain! It ended up not being so bad with the tin foil method! Love love love that glitter. And the tin foil method is a LIFESAVER!! I find that you can do it without the tin foil - just holding a cotton ball on your nail for a few minutes.